Have a picky significant other? No need to fret- Monterey County has a prefect date in store for every couple! Whether you and your honey are foodies, outdoor enthusiasts or all-out splurgers, you’re bound to find a romantic romp in Monterey! Monterey County has more than enough restaurants to please even the most discerning of palates. 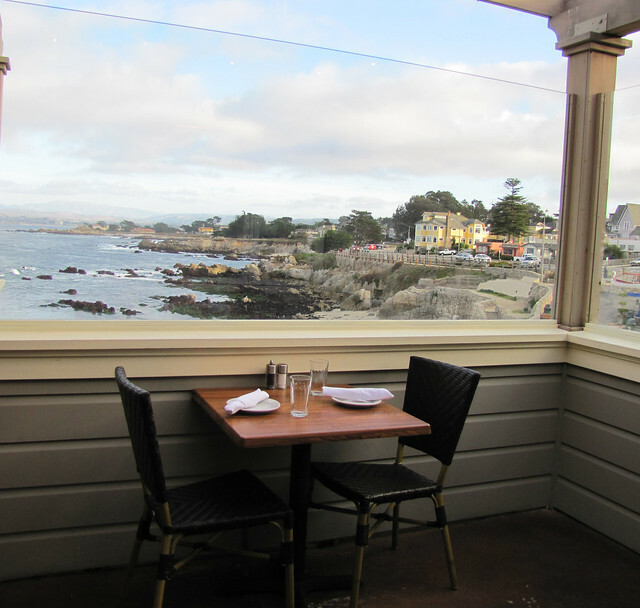 In Pacific Grove enjoy a breathtaking ocean view while dining on fresh California cuisine at The Beach House. Head inland and for Carmel Valley Ranch’s farm-to-table menu that features the best locally sourced ingredients. Plus, the outdoor fire pits with s’mores are a great excuse to cozy up and share a sweet treat under the stars. In Carmel-by-the-Sea take your sweetheart to Vesuvio’s rooftop terrace and snuggle fireside with wood fired pizzas, drinks and delicious desserts. 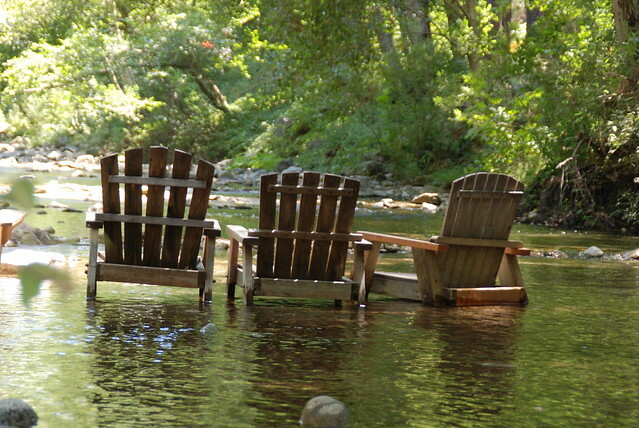 Nothing says “relax” quite like a sunny afternoon hanging out with your loved one along the Big Sur River. Enjoy a picturesque drive down Highway One and stop at the Big Sur River Inn to relax in the river chairs with a cold beer or glass of wine. For the ultimate in relaxation, an afternoon spent at one of Monterey County&apos;s spas is a must. Vista Blue Spa at the Monterey Plaza Hotel features rejuvenating spa treatments and boasts a roof top sun deck that is complete with breathtaking panoramic views of the Monterey Bay, an outdoor fireplace and a whirlpool tub. Another tranquil getaway is the Refuge in Carmel Valley. Their thermal cycle includes a steam room, sauna, outdoor fire pits, and hot and cold pools which will have you and your date melting into a puddle of pure bliss. 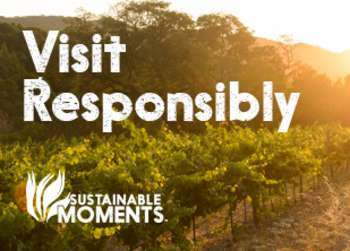 Monterey County is a prime wine region and the wine country is not to be missed for those who enjoy a nice a glass of wine. Visitors can pick up a Wine Walk Passport which gains entry into 9 of the 14 participating tasting rooms located in the storybook setting of Carmel-by-the-Sea. Take your time wandering the quaint European-like streets between tasting rooms and enjoy the shops and restaurants along the way. Use the Grapevine Express offered by MST to catch a ride out to sunny Carmel Valley Village where a cluster of wine tasting rooms are all within short walking distance. A quick drive over the hills of Carmel Valley is the River Road Wine Trail which boasts stunning vineyard views and a truly immersive wine experience. Hahn Winery&apos;s ATV tours are a popular favorite that take you through the vineyards to the top of the property rewarding you and your date with a bird’s eye view of the Salinas Valley. Seeking an adrenaline fueled afternoon? Hang-gliding along Marina’s coastline is a great way to experience the beauty of Monterey Bay in an exciting new way. Renting a kayak for two in Elkhorn Slough is a fun date that allows you both immerse yourselves in the incredible diversity of marine life that calls Monterey Bay home. 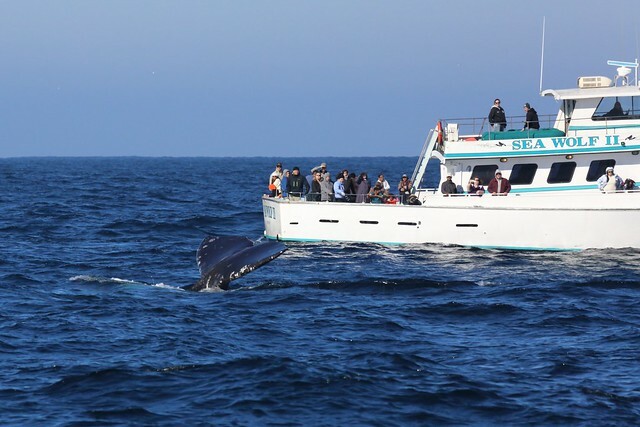 Monterey Bay is also one of the few places that offers whale watching year round. Take the trip to the next level by booking your whale watching tour through Fast Raft Ocean Safaris where you and your date get to zip around the water on an inflatable boat. Get some fresh air and enjoy the outdoor activities that Monterey County has to offer. A great way to see the coast is by renting a bicycle and cruising along the Monterey Bay Coastal Recreation Trail which runs from Castroville down into Pacific Grove. Any one of Monterey County’s countless hiking trails would also make a fantastic date. Pack a picnic lunch and hike around incredible rock spires at Pinnacles National Park, explore the hills of Fort Ord National Monument, or simply enjoy the scenic coastline at Point Lobos State Natural Reserve. 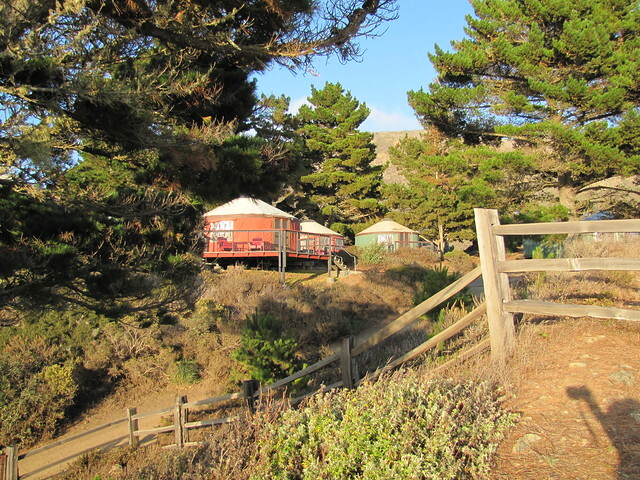 Extend your stay and book a private cabin at Glenn Oaks or a yurt at Treebones in the rugged wilderness of Big Sur. Looking for some ocean-side romance? Look no further than the famed “Lovers Point” in Pacific Grove. Take a picnic and relax on the lawn overlooking the ocean or bring a beach blanket down to enjoy the awesome little beach. 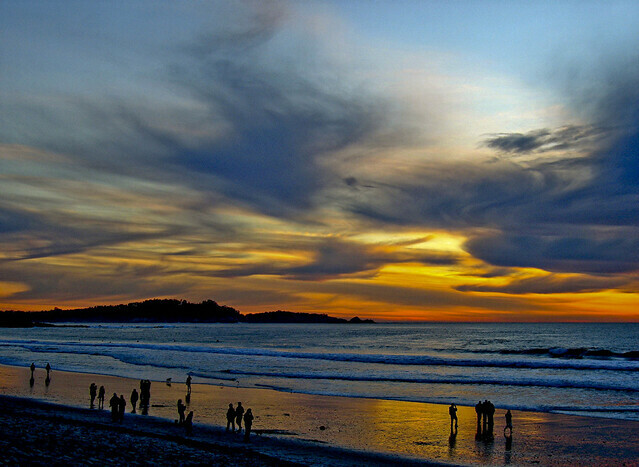 Just 10 minutes away in Carmel-by-the-Sea are the soft white sands of Carmel Beach. Grab a warm drink in town and then stroll hand-in-hand down the coast while enjoying a beautiful California sunset. One of the more unique and visually striking beaches in the area is Pfeiffer Beach in Big Sur. The beautiful rock arches, streaks of purple sand and breathtaking sunsets are a sure way to impress any date. For a coastal retreat head out to Sanctuary Beach Resort nestled in the Marina dunes. This beach front property features amazing ocean views and beach bonfires at their fire pits in the evenings. Indulge in luxury and really celebrate that special someone with a few high-ticket items in Monterey County. Aubergine in Carmel-by-the-Sea is an award winning restaurant that features a daily changing tasting menu curated by James Beard nominated chef, Justin Cogley, an impressive 2,500 bottle wine cellar and artfully prepared desserts. Take your romantic getaway to the next level with a stay at Post Ranch Inn in Big Sur. Gorgeous rooms, with arguably some of the most impressive views of the California coastline, make for a perfect back drop for your lavish getaway. Get a different perspective on the Monterey Bay area and book the “Grand Tour” offered by through Specialized Aviation Helicopter Tours. 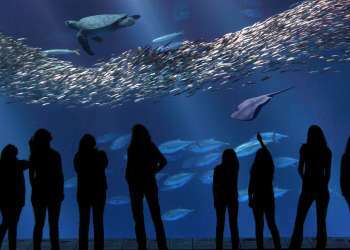 Without a doubt it will be a truly memorable way to experience Monterey with your loved one.